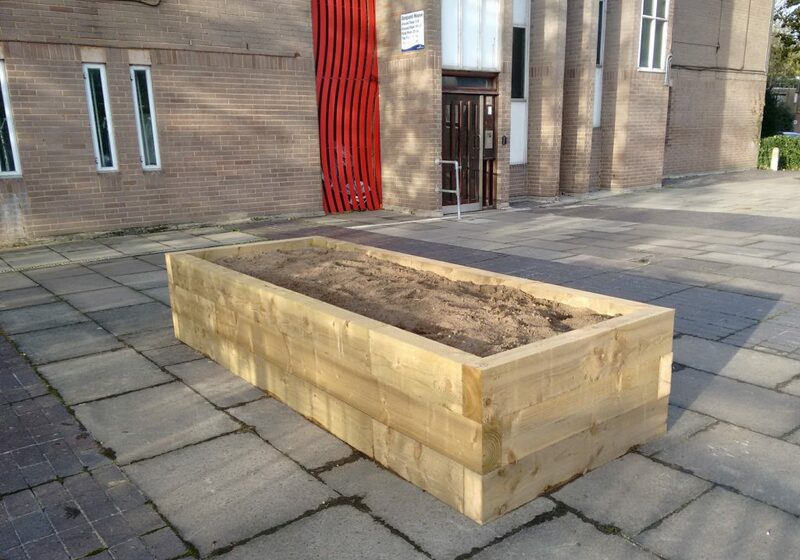 Some smart new raised beds arrived last week on the estate. They were placed on the roofs of the garages along Palace Road. Their arrival follows a request made on 22nd January 2016 by our secretary, Franny. Teodoro, our Estate Housing Officer, tells us that they should be planted up over the next few days with some low-maintenance plants. Do you have any suggestions for what should be planted? Let us know. One of the new raised beds.